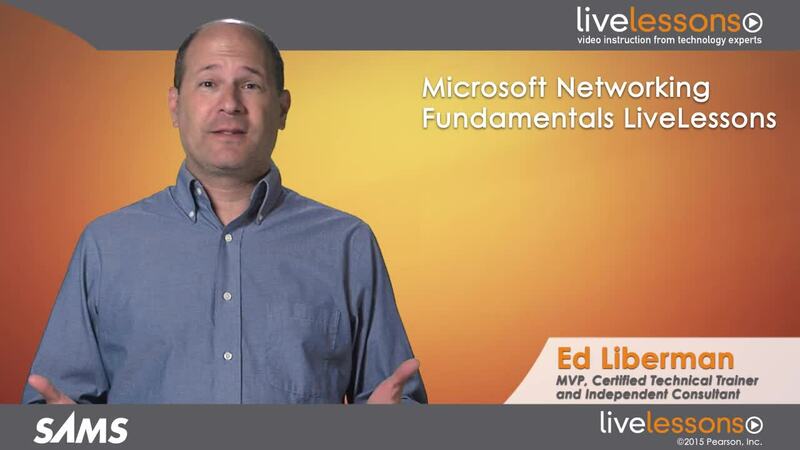 Master basic network concepts; understand different types of networks. Review the basics of common connectors and wire types; discover LAN technology types and wiring standards. Review the basics of the widely-used OSI model, and understand the role of each OSI layer. Understand how to work with IP Addresses; plan an IP Addressing Schemes; work with binary numbers; discover internetworking; understand classful versus classless interdomain routing (CIDR). Master basic command line tools: IPCONFIG, ARP, ROUTE, PING, TRACERT, PATHPING, NETSTAT, NBTSTAT, NSLOOKUP, TELNET, FTP, NETSH. Understand the basics of DHCP; configure DHCP; implement DHCP in a routed network. Master routing tables as well as static versus dynamic routing; understand routing protocols. Understand Remote Desktop Services (RDS) as well as RDS Role Services. Master basic wireless networking concepts; how components of a Wireless Access Point function; go beyond the basics to understand and secure a wireless network. Understand firewalls and other security devices; how to implement user authentication; how to identify and treat common security threats. Understand the roles, elements of, and differences between IPv4 and IPv6. Understand the MTA 98-366 certification exam's test objectives; master proven strategies for test taking and preparation; learn how to sign up for the exam when you're ready. How Do We Make Connections?